S.W.A.T. is an American 60 minute scripted crime television series, which kicked off on November 2, 2017, on CBS and is broadcast every Thursday at 22:00. The show is currently in its 2nd season. CBS is yet to announce the renewal of S.W.A.T. for Season 3 as well as its cancelation. Sign up to track down the show's status and its release date. 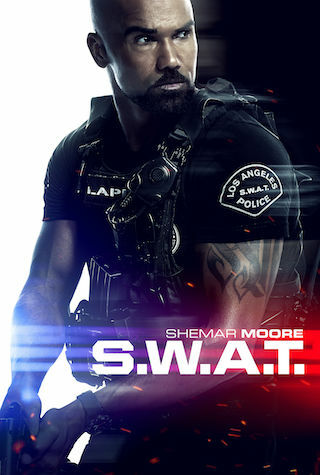 Shemar Moore stars as a locally born and raised S.W.A.T. sergeant newly tasked to run a specialized tactical unit that is the last stop in law enforcement in Los Angeles. Torn between loyalty to where he was raised and allegiance to his brothers in blue, former Marine Daniel "Hondo" Harrelson has everything it takes to be an excellent leader and bridge the divide between his two worlds. The former lead detective on the original drug case, to help. Also, Chris weighs a major decision regarding her romantic relationship with Kira and Ty, and Hondo's patience is tested by his new familial responsibilities. The SWAT team finds itself under internal investigation after a civilian is killed as they attempted to bring in the city's most wanted criminal. As the mission details are revealed, the force's internal affairs team calls Hondo's leadership into question. The synopsis will be available soon.